Everyone has their favorite peanut butter brand. The stuff you grew up on as a kid and now you give to your kids! I know I do, and when my husband came into the picture we clashed about peanut butter brands, lol. Not a huge deal when we think about it because peanut butter is peanut butter right? Or is it? I just looked at the label on my favorite peanut butter and noticed all of these extra ingredients, like hydrogenated oil and added sugar. Shouldn’t peanut butter just be peanuts? Well that is my thought, but usually it has a few added ingredients if you pay attention to the labels (something our family has been doing more of lately). So then along came Earth Balance, which boasts “natural” nut butters. I have heard a lot of arguments about the term natural, and that it isn’t as good as “organic” because you can’t be certain how the foods are processed or where they came from, but the ingredients they list in the crunchy peanut butter we tried are simply peanuts, flaxseed (which they add for ALA Omega-3s), agave syrup (to sweeten), palm fruit oil, and salt. I know what everything is on that ingredient list, unlike the list of ingredients in my usual peanut butter which has; peanuts, sugar, molasses, fully hydrogenated vegetable oils, mono and diglycerides, and salt. To keep it simple, mono and diglycerides act as an emulsifier in foods; or basically they allow oil and water to mix together, something they normally wouldn’t do. The Earth Balance peanut butter does not have this ingredient, so you can see the natural separation of the oil when you open the jar. This was especially apparent in the almond butter we tried, but a simple stir and you are right back to normal. So why do these other companies add things like diglycerides? Probably because most people think there must be something “wrong” with their product if they see separation of the oils. This is absolutely not true, and all you really have to do is give it a quick stir if you wanted it mixed back in. You don’t even really have to stir it to be honest, you can just grab the good stuff that is beneath the oil and then you are getting a product that is not so heavily saturated with fats. A: Our patented oil blends are careful combinations of palm fruit, soy, canola, and olive oils. 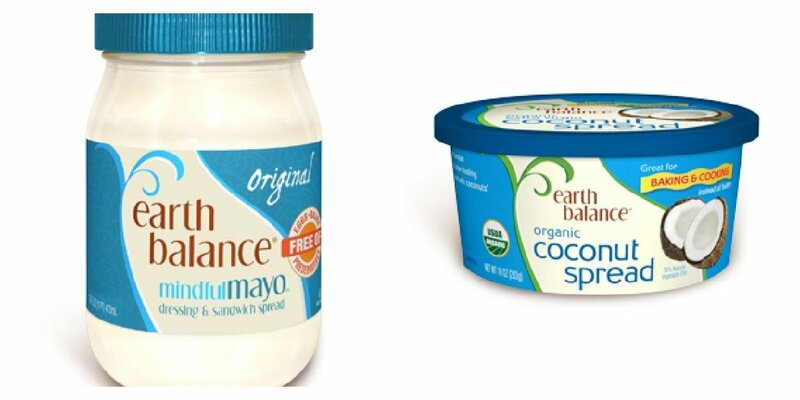 So not only are Earth Balance® Spreads nutritionally beneficial in many respects when compared to butter and most margarines, but they are also naturally stable at room temperature. That means we don’t have to resort to unnatural or unhealthy processes like hydrogenation or interesterification to give our spreads their buttery consistency. In addition, they talk about their sustainable practices; so even though they aren’t labeled as organic products, many of the practices they employ in making their products are the same as those companies who are labeled organic. You can find the full FAQ’s section on the website to answer this and many more questions. 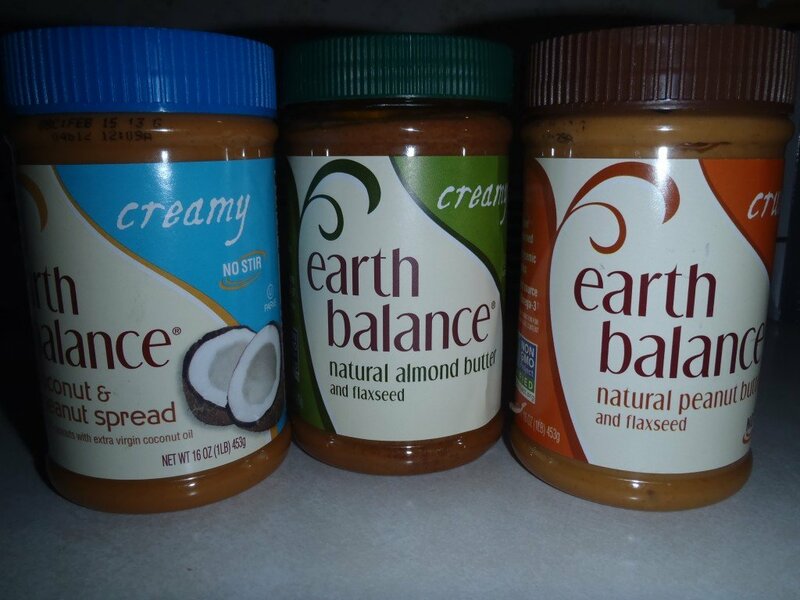 The three products my family and I got to try from Earth Balance were the natural almond butter, the crunchy natural peanut butter, and the creamy coconut and peanut spread. Out of the three I think I enjoyed the peanut butter best, but I had never had almond butter before so I wasn’t sure what to expect. 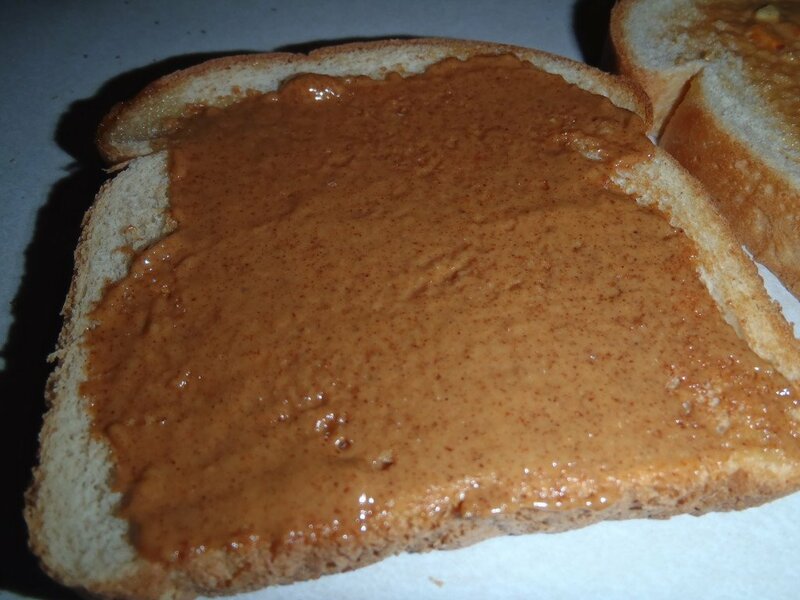 My kids didn’t seem to notice any difference between eating this and their regular brand of peanut butter, and in fact often asked for a second sandwich when I served this to them. The coconut and peanut spread I don’t think I could just eat by itself, but it was really great as a glaze for my pork chops. I simply mixed the spread with some soy sauce and a little olive oil and then spread it on some pork chops before throwing them on the grill. They turned out amazing! You could also use the coconut spread for a stir fry recipe. I ate the almond butter on toast, and my son was intrigued that it was different than what he was eating, so he asked to try it. After a few bites I asked him if he liked it and he said yes and proceeded to eat the rest of my toast! Overall I like that the Earth Balance products do not have unnecessary ingredients like mono and diglycerides, but I would be even more happy if their products would achieve an Organic label! One plus side, they are listed as Non-GMO project verified! I really like this, because I am very leery about genetically modified ingredients in my food. We just don’t know enough about it in my opinion to be considering genetically modified foods safe. As far as taste, I don’t think the nut spreads are quite as sweet as some of the other brands we have used, which is actually a good thing for our health, but it is something we will have to adjust to taste wise. The taste is good, just not as sweet. 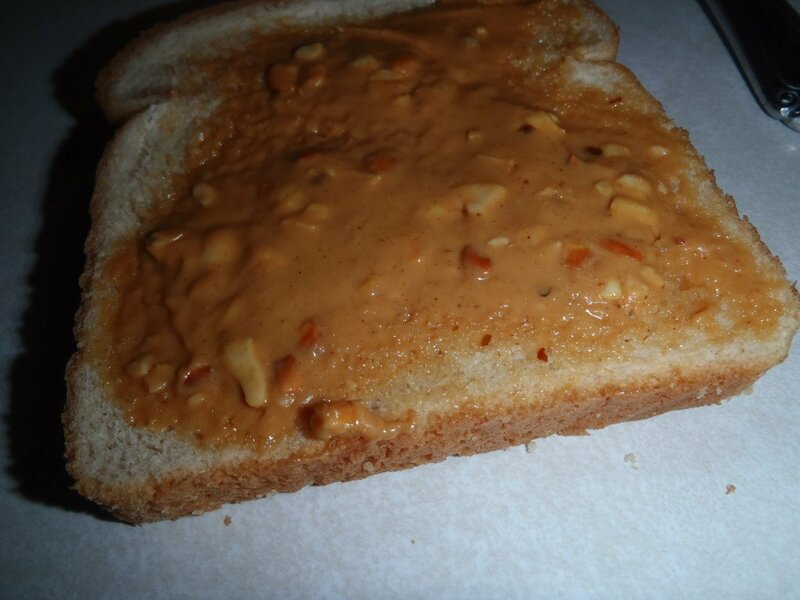 The coconut and peanut spread, however, I am just not sure if I will get again. It works great in recipes, but to use it on its own is just not something I can see happening. The coconut oil flavor was just too overpowering for me. In the meantime we are going to be giving away two tubs of Coconut Spread, and two jars of Mindful Mayo Dressing all to one lucky winner! Just enter on the giveaway form below! Open to US 18+. Should you win you will be receiving coupons for each of the products listed, if you want to verify that you have a store in your area that carries Earth Balance products visit the website and use the store finder icon at the bottom of the screen prior to entering the giveaway. Thanks and good luck! Disclosure: The Mommy Bunch was provided a free product to facilitate this review, however, all opinions are strictly our own! The information provided in this post is not meant to be dietary or nutritional advice, please consult a dietitian or your physician to answer any health related questions. NextPlanning the Perfect Summer Birthday Party!